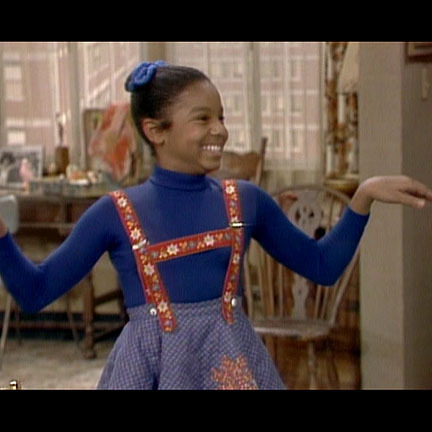 This dress was worn by the character “Penny” played by actress Janet Jackson in the television series, “Good Times”. 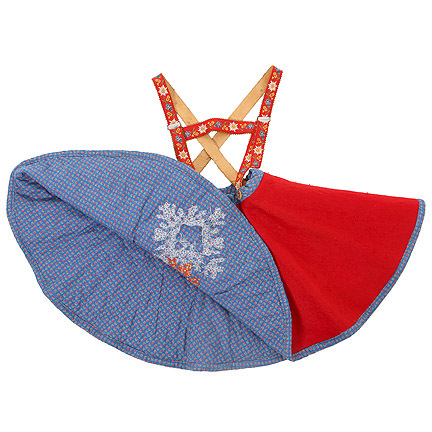 This reversible “Heidi” style dress includes leather straps decorated with floral embroidery that is attached to the skirt. 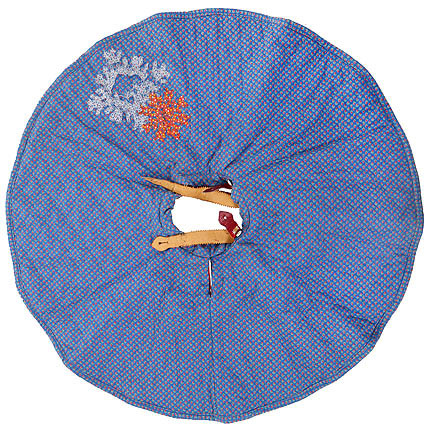 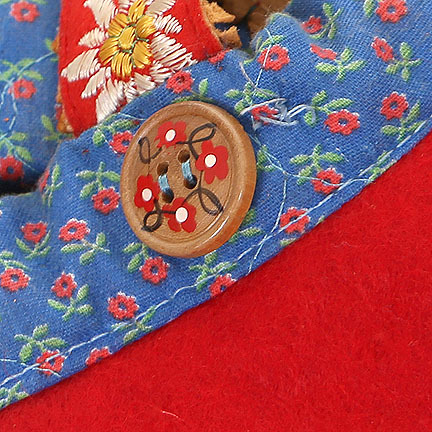 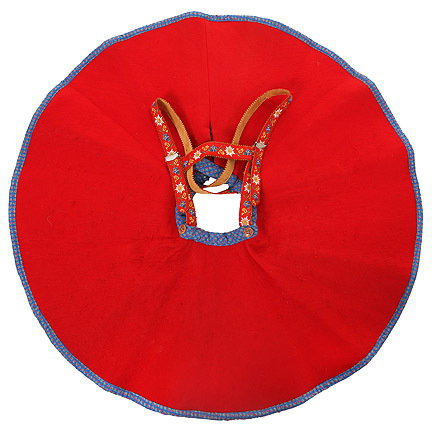 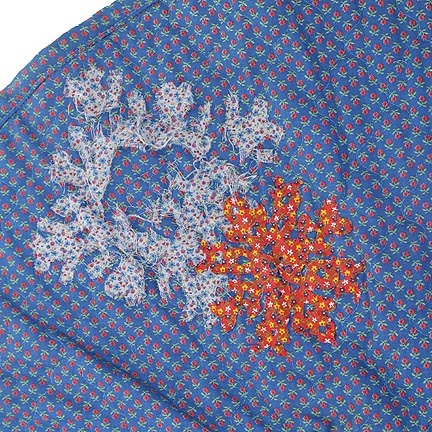 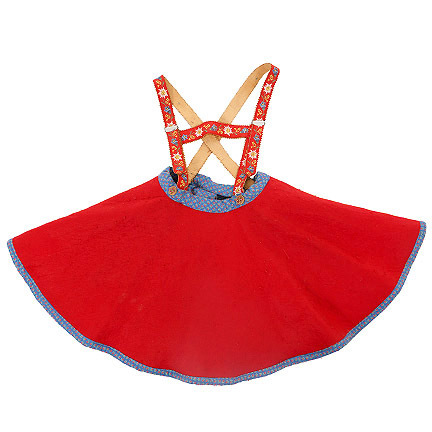 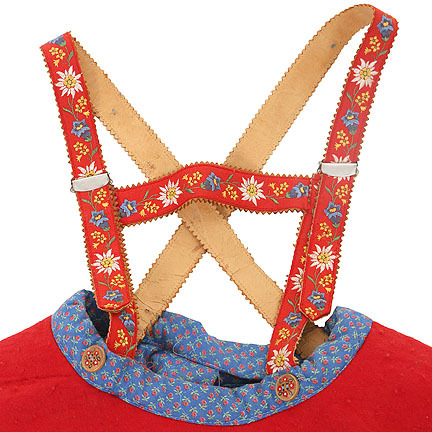 One side is constructed out of a blue cotton material with snowflake shapes sewn on, the verso which was worn in later episodes, is constructed of a red felt material and the leather German style straps were added. 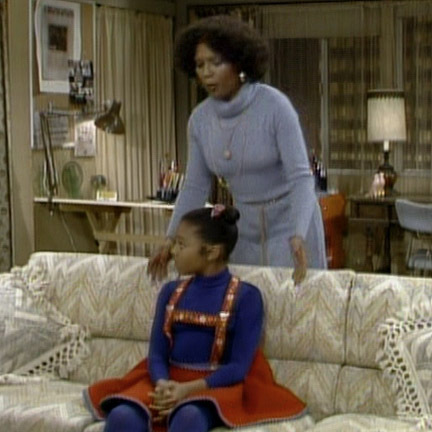 Ms. Jackson was initially seen in the blue side of this dress in, “Willona the Fuzz” (Season 5 Episode which first aired October 19, 1977) when Penny presents Willona with the trophy she won for figure skating in the junior division. 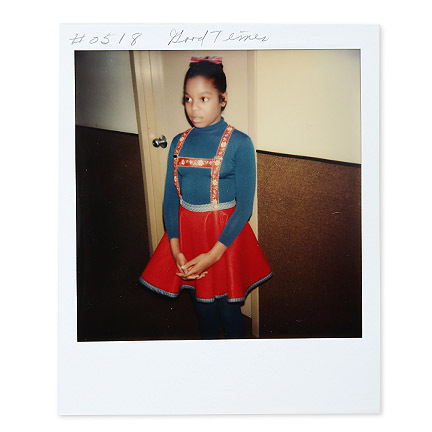 Willona announces she'll buy her a new outfit with the new security guard position she has. 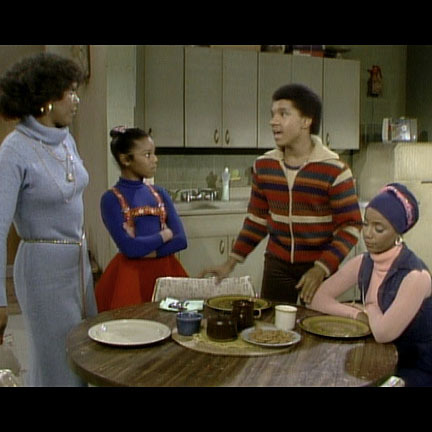 Also seen in “No More Mr. Nice Guy” (Season 5 Episode 13 which first aired January 4, 1978). 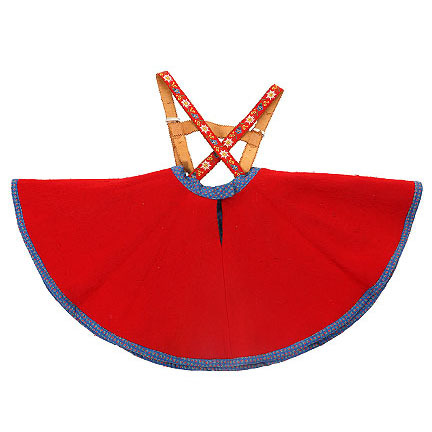 The red version of this dress can be seen in “The Boarder” (Season 5 Episode 18 which first aired February 6th, 1978) as Penny sits on the couch while the Evans family discusses having a person board with them at the apartment.